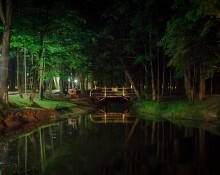 The Kobrin recreation park is among the oldest and most beautiful parks of Belarus. Its basis belongs to the second half of the 18th century. 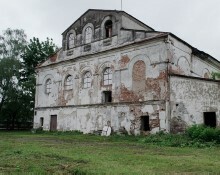 In 1766 the city which fell into decay as a result of wars, the fires and epidemics according to instructions of the king Stanislav Augustus Ponyatovsky was deprived of the right of self-government. On the Brest region the main events of 1812 are connected with the 3rd Western army under Alexander Petrovich Tormasov's command. Its army won the first considerable victory in war. At the beginning of July, 1812 Tormasov received the order to act to Brest, Kobrin, Pruzhana and to act in the back of the French army. 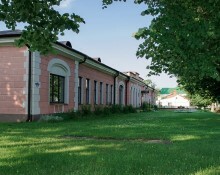 The farmstead house of Suvorov Alexander Vasilyevich is located on Suvorov St. 16. There lived the great Russian commander generalissimo A. V. Suvorov. For the first time A. V. Suvorov lodged here in 1797 when he fell into disgrace of Paul I. 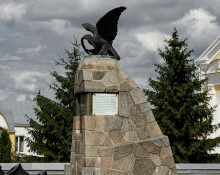 From here it was banished the same year in the village of Konchanskoye of the Novgorod province. 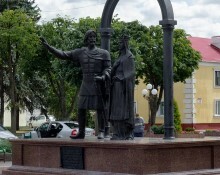 The monument to the prince Vladimir Vasilkovich and the princess Olga Romanovna is established in Kobrin on a pedestrian street of Suvorov. Kobrin is not only the museum of a name of the Russian generalissimo Suvorov and his possession as to us long hammered into the head. The first mention of the city belongs to 1287. 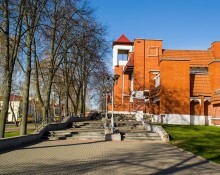 The building of the former Kobrin bank is on the well-known central square of the city. Since ancient times the area officially was called Castle, however inhabitants called its Bank. The area adjoins Mukhavts's coast where earlier Nizhny Novgorod the lock was located. Later the city magistrate and a town hall was placed. 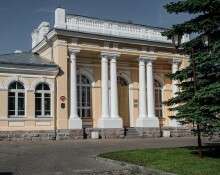 The Kobrin synagogue is a monument of eclectic architecture with classicism elements. It was constructed of a brick allegedly in the second half of the 19th century. The building is symmetric, it is decorated by subwindow flat niches, arkaturny corbels. Now the building is not used and falls into decay more and more. 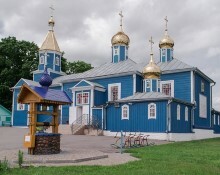 The ancient Sacred and Peter and Paul church was constructed in Kobrin in the 15th century. Its mention is in documents of 1465. 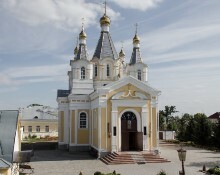 In those days, when in Kobrin there lived the field marshal Suvorov, the church was located in the downtown, absolutely near the house of the glorified commander. Suvorov's devotion is widely known.